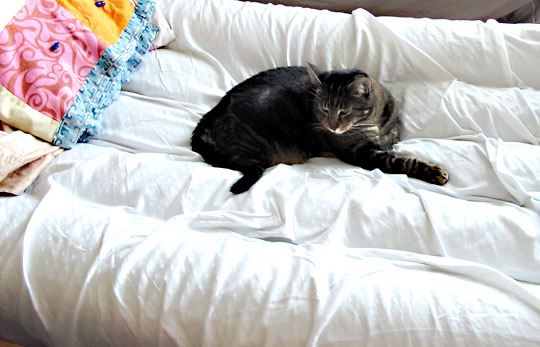 Are you an ardent cat lover who happens to own an air mattress? If so, there is a very high chance that your cat has already developed a liking for your air mattress as well. After all, cats do love spending time on regular beds, and there is absolutely no reason why they should not yearn for the best air mattress for everyday use. 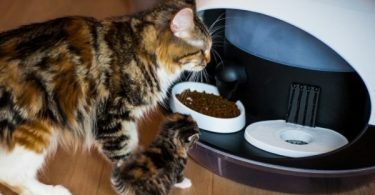 While there is absolutely nothing wrong with your cat coveting your inflatable bed, the big problem is that cats happen to own some of the sharpest claws in nature and you already know that air mattresses and sharp objects don’t go hand in hand. For most people, having an air bed is a convenience. These mattresses come in handy when you have guests staying over at your home but don’t have an extra room where they can sleep. You won’t be using air mattresses often. However, it is best to have one or two air mattresses for the times you will have visitors. One thing you will quickly notice is that pets can easily destroy air beds. For this reason, you should take some extra steps to protect your mattress from the sharp claws and teeth of your cats and dogs. This means getting a puncture proof air mattress. Editor’s Note: If you are in a hurry, check out the Lazery Sleep Air Mattress. This cat proof air mattress is made of high-end, puncture-resistant material. Moreover, it comes with a skirted sheet, controller, and in-built pump. To cut a long story short, the claws/nails of a cat have the tendency to increase both in length and sharpness as time goes by. Now, if left untrimmed, your cat is likely to cause irreparable damage to your precious air bed as any contact between an air mattress and the unattended claws of your cat, even if unintentional, will lead to severe punctures. In short, if you want to keep both, you will have to either choose an airbed model that will be cat-proof or learn how to protect your existing airbed. I personally, am entertaining a lot during summer days and own 3 airbeds – I discovered this guide on cat-resistant airbeds at TheSleepStudies.com and that changed the whole decision process I go through. So, how do you get to keep your cat (or cats) and your lovely air mattress in the same house without having to spend your hard earned money on a new mattress every few days? Seeing that cats come with some of the sharpest claws seen by man, you will want to choose an air mattress that is designed to refuse to give in to “cat abuse.” For that reason, it is wise to pay close attention to the thickness of the vinyl. The regular air mattress uses vinyl with a thickness of about 0.4 mm so you will want to go with a mattress that’s made of thicker materials. Alternatively, you can go for a plastic-laminated, multi-layered vinyl (PVC) which, though a bit pricey is claw-resistant or cat-proof, however you want to put it. Remember that the trick here is to choose a bed that is resistant to the scratches of your cat or at least one that will hold up well to this kind of abuse. Another helpful tip on how to choose a cat-proof airbed is to always ensure that the mattress you choose is top protected. As you probably know, a cat will puncture an air bed the minute it jump on it. This means that you can purchase an air bed and have it punctured that very same day or a few days later when your cat sets its eyes on the prize (read air mattress). To that end, it’s a wise idea to go for a mattress that includes thick mattress case or pad to offer additional protection to your prized possession. Another trick that can work well as you prepare to purchase a mattress topper is to always wrap the entire mattress with an extra thick blanket. This trick should offer a temporary way to protect your mattress from the sharp claws of your cat while at the same time enhancing your own comfort. There are a number of cat proof inflatable beds on the market. These mattresses are designed with material that cannot be pierced by the sharp claws or teeth of your pets. Read the puncture proof mattress reviews below to find out what to expect of these top rated air beds. This heavy duty air mattress will ensure you have a comfortable sleep and save you from the inconvenience of having to replace it due to cat piercings. The bed lies higher than usual, providing deep compression and support for heavier sleepers. The air bed is fitted with an inflatable pump for blowing it up. The pump has an auto shut-off function that will prevent the bed from overinflating and becoming uncomfortable. 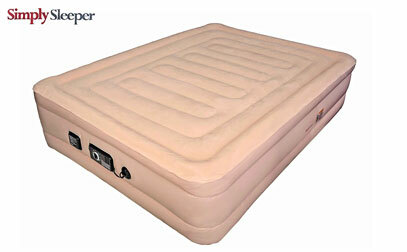 The Lazery Sleep Air Bed has an extra thick bottom that makes it durable. 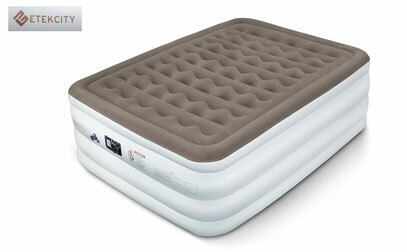 The bed has 40 air coils to support the sleeper and is sold with a 1-year warranty. The SimplySleeper Air Bed is a puncture proof air mattress that you should get if you have pets in your home. Like the Lazery, this bed also has a built-in electric pump that makes inflating and deflating it easy and convenient. In about 3 minutes, the pump will have finished inflating or deflating the bed for use or storage respectively. 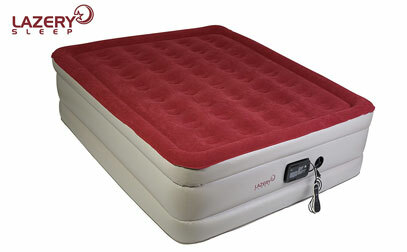 The SimplySleep air mattress inflates to a true Queen-size bed, is made of a 0.45mm gauge polyester and is durable. The mattress material features laminate technology that makes it difficult for cats or other pets to pierce and destroy it. This cat proof air mattress is made of a special polyester that helps to regulate temperature when you are sleeping on it. Therefore, you can be sure of keeping warm during the cold night and cool during hot nights. The Etekcity air mattress can be easily inflated to a Twin or Queen Size bed. The cat and dog proof mattress is made of non-toxic PVC and has a comfortable flocking top. The top prevents cats and dogs from using their claws and teeth to pierce through the mattress. The Etekcity air bed is easy to set up thanks to the in-built electronic pump. You can have the bed inflated or deflated in about 5 minutes. The bed can be inflated to 18 inches, and hence, can be used by people of different weights. The mattress is made of high quality materials that are durable. With the above given tips, you can expect your air bed to last for a very long time without necessarily having to show your cat the door. But it is advisable to ensure that the claws of your cat don’t remain unattended for a long period even as you strive to find an airbed that withstands cat claws. This is because as the length of a cat’s nails increases, so does the sharpness. With time, such claws or nails will be sharp enough to puncture even the strongest vinyl available. 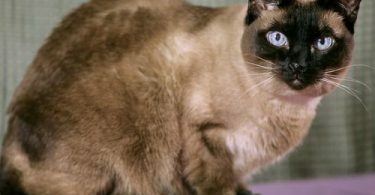 Siamese Cats Lifespan: How Long Do Siamese Cats Live? Copyright © 2018. Design by Crystalint Media.